Welcome aboard the Largest Charter Fishing service on the Gulf Coast, Located in Siesta Key & Sarasota, Florida for fishing both inshore and offshore. 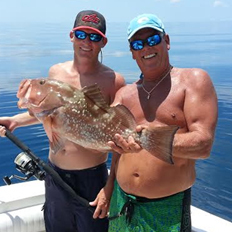 Siesta Key Fishing Charters will customize any charter to your specific party! All guys, all gals, families, kids? All ages & experience welcome. 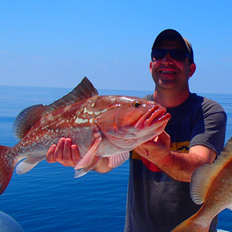 Sarasota & Siesta Key Fishing Adventures Starting at $425! Welcome aboard the top charter fishing service in Siesta Key & Sarasota, Florida for fishing both inshore and offshore. The fishing season is upon and we are running trips daily. 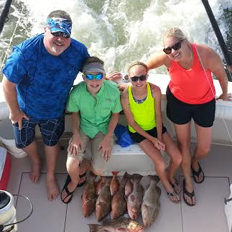 We are one of the only full times charter services in the Sarasota and Siesta Key area. This allows us to know where the fish are biting before your trip and put you on them fast. The Summer Season Is Here! Happy New Year! Excellent Winter Fishing Now! Copyright 2018 FishSiestaKey.com. All Rights Reserved.